A Heavy Duty Vehicle manufacturer recently came to the experts at Gasket Engineering recently with an interesting challenge. They needed high temperature gaskets for the right and left sides for the exhaust of a Class C truck. This was a new product for them, so they reached out to us to help engineer the product in the best way possible. They were looking for the most profitable part production for their new part. Because the gasket would be used in an extremely high heat situation, they needed something that would provide appropriate buffering capabilities while still maintaining its ability to hold up to the high heat of the engine. MetalTech makes fibrous gasket facing materials that are bonded to a starburst- or rectangular-style perforated steel core or have special coating like Teflon™ or other materials. These provide excellent sealability, good load retention, crush resistance, lateral stability, more bonding points or more conformable materials that are excellent for use as exhaust gaskets, manifold gaskets, head gaskets, heat shields or other high temperature gaskets that are subject to frequent thermal cycling. These are highly engineered materials that can be difficult to cut. Gasket Engineering provided them with one option to diecut the material to create the high temperature gaskets. The engineers determined that method would produce a very clean-cut, but they also conceded that the yield would be lower and that there would be a lot of waste created using a traditional die cutting process. As they are always looking for profitable part production, that led our experts to recommend a flash cut that allowed for much closer nesting (and therefore less waste) for this expensive material. Samples were sent to ensure that the edge was clean enough for the process required, the samples passed testing and the client was very happy with this money saving solution for their high temperature gaskets. Do you need more profitable part production for your next project? Give us a call at 813-363-8333. Congratulations: You’ve Designed The Perfect Un-Manufacturable Part. Now ... 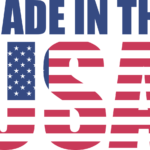 Need A U.S.-Based Manufacturer?